Method feeders are a staple among match anglers and, with a few tweaks, can also be used to target big carp, tench and bream. The only changes you need to make to turn it into a rig capable of landing any carp that swims are to strengthen the component parts and increase the size of the hookbait and loosefeed. The Method is perfect for ‘runs waters’ or for targeting carp in pressured venues that have seen it all when it comes to rigs. Tie on a curved shank hook. We’ve used a palomar knot here, but a grinner is also fine to use. 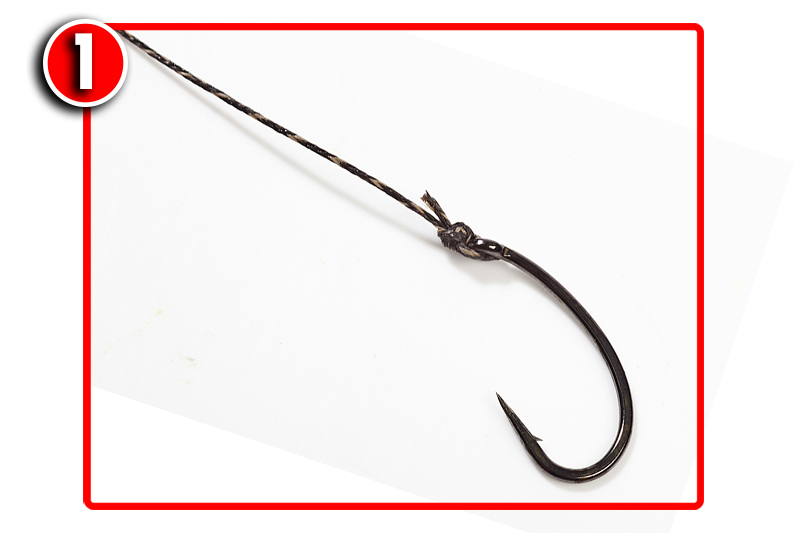 Thread a micro rig swivelover the point and down the shank, followed by a small hook bead. Position the hook bead and then attach the bait to the swivel using bait floss or a small bait band. Tie a swivel to the other end. Make sure it is a snug fit in the base of the frame of the Method feeder. Put your chosen ingredients into a bait tub. Dampen the comtents and make sure they bind together well. Place your hookbait in the fat end of the supplied mould and bury it with your Method mix. Firmly press the feeder into the mould, with the hooklink positioned as shown above. Remove the frame from the mould. Some frames have push-button releases. You’re ready to cast out!